The Sphere 195cm Bivi Bag from Mammut is an uncompromising and very lightweight bivouac bag that should be an essential piece of equipment on any tour. It is equipped with rope openings, a drawstring and an integrated stuff bag. The upper part consists out of a breathable membrane with a water column of 15.000 mm and a water vapor permeability of M/P 15,000 g/m²/24h. 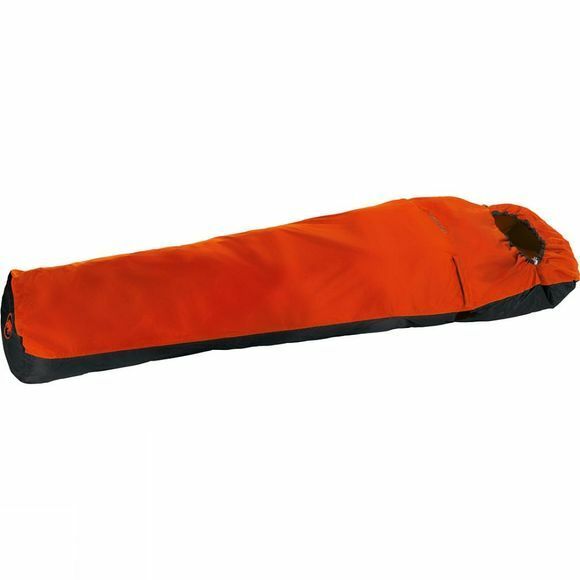 The bottom part consists out of a waterproof nylon fabric with a water column of 5.000 mm.